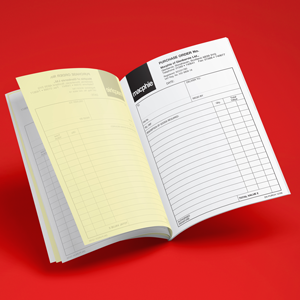 Keep a record of your recent purchases and outgoing costs with our customised purchase order pads. 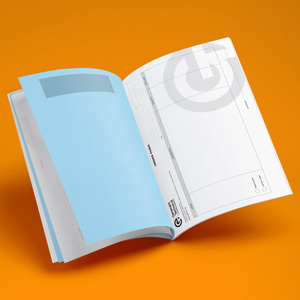 These can be supplied as single sheets or as NCR sets in duplicate or even triplicate. 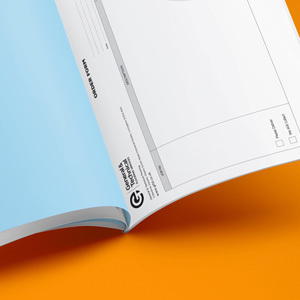 All our pads come with a plain card cover and hard board back as standard, with the option of a writing shield to ensure your writing doesn’t show through where it’s not meant to. 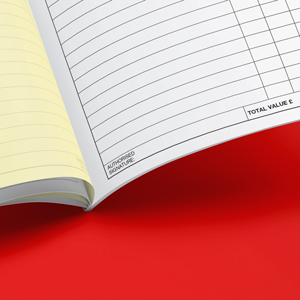 We can also sequentially number each sheet if required. Printed black only one side onto 2 Part NCR, trimmed to A4 and padded in 50s with plain card cover and writer board. Printed black only one side onto 2 Part NCR, trimmed to A5 and padded in 50s with plain card cover and writer board.